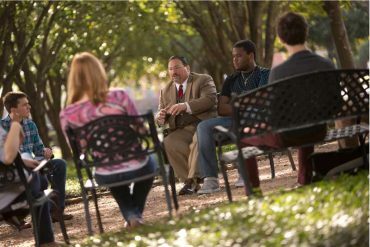 As the cornerstone of HBU’s holistic approach to education, the Community Life + Worship program unites the intellectual and the spiritual to prepare students for meaningful lives of leadership, distinction and service. As an active member of our supportive, diverse, faith-based community of learners, you will be encouraged to develop professional behaviors and personal characteristics for lifelong learning and service to God and the community. A requirement for graduation from HBU is involvement on a regular basis in spiritual formation events. All students seeking an undergraduate degree must complete the 80 CLW credit requirement before graduation. A minimum of 50 CLW credits must be earned through attendance at Convocation. Students are highly encouraged to garner a minimum of 15 credits per semester. Students can earn as many CLW credits per semester as their schedule allows until the full requirement is met before graduation. Transfer student will receive a transfer credit of 3/4 credit for every transfer hour. For example, a student with 40 transfer hours will receive 30 CLW credits towards the requirement of 80 CLW credits. A representative designated by the Spiritual Life Office will be available at approved events to record attendance. The student is responsible for having his/her attendance recorded by ID card scan or sign-in. A student may only sign in twice per semester at Convocation. Participants do not receive credit when they arrive late, leave early, fail to sign-in or scan-in, or distract someone else from participating. Students may check their CLW record on their HuskyNet account. It is the student’s responsibility to notify the Spiritual Life Office with any questions regarding his or her CLW record. In the case of a discrepancy in the student CLW record, changes in credit can only be done for the semester prior to the request. 50 CLW credits must be obtained through attendance at Convocation. No petitions are accepted requesting a decrease in credit requirement. If extenuating circumstances occur, the CLW committee will make a decision regarding the petition, and will help the student work out a plan on a case-by-case basis. Petition forms are available in the Spiritual Life Office. 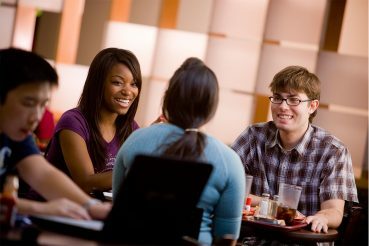 The Community Life + Worship program allows you to choose from and participate in a variety of activities – from on-campus worship services and small group studies to community service and mission opportunities – designed to foster the deepening of your faith and the sharpening of your spiritual gifts. 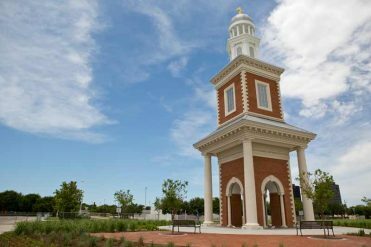 Choosing to participate in any, or all, of the many ministry opportunities available at HBU will help you experience the joy that comes from being part of something bigger than yourself by making a difference in and around our campus community, and beyond. A minimum of 50 CLW credits must be obtain through attendance at Convocation. Convocation is considered the equivalent of chapel on other campuses. 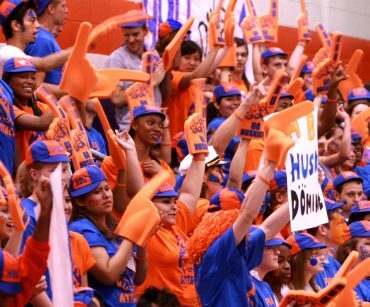 It is a vital part of our HBU community. A minimum of 50 CLW credits must be obtained through attendance at Convocation. Thursdays from 4:00 pm to 4:50 pm in Belin Chapel. Convocation provides a credible, sensitive, comprehensive witness to life in Christ. At convocation students, faculty, staff, and guests are introduced and encouraged; to salvation and spiritual growth; to the building of community within a diverse student body and faculty; and to the sharing of ideas, information, and talents for the enhancement of life. Recordings can be checked out at Moody Library front desk. Credit requires submission of responses. Students participating in a Church Leadership Internship are students that are guiding, directing, and/or presiding over an activity, program or group of people with a church/ministry setting. Leadership consists of more than attendance, service, participation and management. All work must be turned in by the designated deadline(s) by the end of the semester of service. Up to twenty (20) CLW credits are given upon successful completion of the Church Leadership Internship. The Church Leadership Internship (for CLW credit) may not be used in conjunction with meeting academic requirements and/or receiving monetary compensation. The student must complete 30 hours of service over one semester at the same Christian ministry site. There is a career limit of one CLI for CLW credits. The Spiritual Life Office must approve the proposal before the CLI service hours begin. If interested in participating, submit a written proposal describing the ministry opportunity you plan to lead to the Spiritual Life Office. Students interested in serving others and desiring to make an impact in their community can participate in a Service Learning Internship (SLI). Students serve 30 hours at a faith-based nonprofit agency over a period of one semester. Students will reflect on an article that is assigned as well as turn in a final project that expresses the experiences and lessons learned throughout the internship. Upon satisfactory completion of all requirements, students receive 20 CLW credits. Students must apply and be accepted by the Spiritual Life Office prior to beginning the internship. During orientation, you will be given all internship materials and guidelines. All orientations are held in the conference room on the second floor of Baugh in the Spiritual Life suite. After discussing your majors and interests, we will match you with an agency that best suits you. Once you have found an agency and have signed a Service-Learning student contract, you can start serving! Over a period of one semester you will serve 30 hours at one non-profit organization. Each time you serve, you will have your supervisor sign your timesheet. After completing 10 hours, you will read a 3 page article on service and respond to 3 reflection questions. All work must be turned in by the Monday of the last full week of classes in order to receive your 20 CLW Credits. One of the greatest ways that we can know God is through prayer. The Prayer Team takes this opportunity for growth seriously as they provide ministry for our campus through See You at the Pole, National Day of Prayer, regular prayer meetings, the organization of campus-wide prayer walks, and much more. The purpose is to provide opportunities and encourage students to be involved in intercession on campus through community prayer activities. Prayer is a journey with God – come and join us on this journey! Dates and times vary. For more information, contact skahleh@HBU.edu. For more information, please contact Dr. Diana Severance at 281-649-3287. *Remember a minimum of 50 CLW credits must be obtained through attendance at Convocation. For more information about these opportunities and more, contact the Spiritual Life Office. For more information contact Spiritual Life!